We usually welcome summer season with a changed atmosphere where you meet with horrible scorching heat and hot temperature which brings you sweat, perspiration, skin itching and sometimes rashes or prickly heat, which although not a serious problem but requires a lot of care and treatment. It is a very common problem which most of the people experienced in the hot summer season and I know you’re also one of them. So, let’s finish your tension and find out the ways to get rid of prickly heat because today in this article my main motive is to give you the solution to your problem. These rashes emerge in your skin due to excessive sweating by hot weather which begets the bacterial infection. 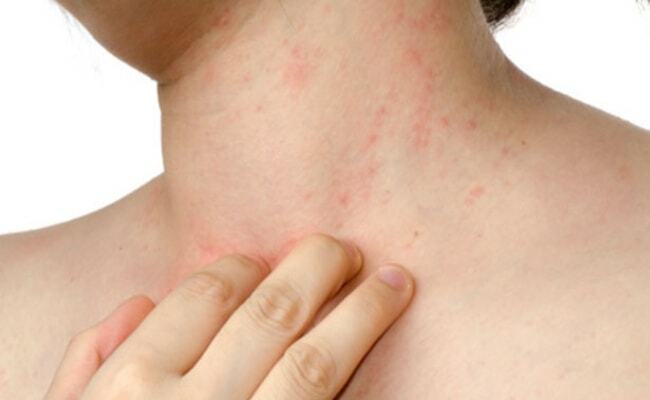 Heat rashes or prickly heat is arisen in the area of your body parts where you sweat accumulate, for instance, your waistline, forehead, and on your back and these rashes are looks like tiny red pimples or red bumps. If you’re having rashes or prickly heat in your body, then you should try herbal, unscented talcum powder which can be easily available in the market. This will help you to absorb the extra moisture from your skin. You should apply it on your rashes part of your body, and with its regular use, you will notice that your itching and rashes get diminish. You just can’t think of this but believe me that baking soda tremendously helps you to provide relief from rashes or prickly heat. For this, you only have to mix three tablespoons of baking soda with water in your bathtub. Then soak your body in it at least for 20-25 minutes. Oatmeal is rich in antioxidant and anti-inflammatory properties, which helps you to protect your skin from ultraviolet rays of the sun. So, make a habit of taking an oatmeal bath for 15-20 minutes regularly, apart from this you can also use the oatmeal as a scrub and rub it gently on your affected area. Use of potato for curing prickly heat is one of the easiest methods. For this, you need to cut some medium sized slices of potato and then rub it gently on your rashes affected area. Moreover, you can also make a paste of potato and apply it on your rashes or prickly heat. Lemon juice is rich in antioxidants properties which helpful to work as a healing agent and to get rid of prickly heat you have to squeeze fresh lime and pour some water in it; you can also add some honey for sweetening the taste. Start drinking this drink 3 to 4 glasses regularly and after some days you’ll see the results. You should try Cucumber if you’re getting annoyed by heat rashes, it contains asset of antioxidant properties which gives you relief from inflammation or sensations that are caused by prickly heating. For this, you need some slices of cucumber or its pulp, and then apply it on your skin where you have rashes. You can also use its juice and apply it on your affected area, leave this on your skin for 30 minutes and then wash it with cold water. Use of margosa leaves is an herbal method to treat your prickly heat problem. These leaves are rich in antibacterial and astringent properties which quickly remove your rashes and give you relief. Mash some margosa leaves and prepare a paste, then apply it on your skin where you have redness affected by outbreaks. Many people think that aloe vera gel often used only for pimples, but they don’t know aloe vera is having lots of benefits which cure many other problems like heat rashes as well. You just need to take some aloe vera gel and rub it o your face or rashes part then leave it for 20 minutes. You have to continue this procedure until your heat rashes have healed. Gram flour or which is also known as besan can be used as to fix many skin related problems and moreover helps you to reduce dead skin and inflammation problem. So, mix some gram flour with water and make a thick paste of it, then apply this paste over rashes and leave it till it gets dry. Another way to get rid of prickly heat is that you should drink at least one glass of sugarcane juice. It consists of lots of cooling properties which not only helps to refresh you internally but also fix your skin related issues like heat rashes. Honey is consists of antioxidants properties that helps to fasten up the healing process. For this, you need to apply some drops of honey on your affected skin and leave this for 15 to 20 minutes. Sandalwood has an active cooling property which heals your prickly heat rashes. For this, you have to mix coriander leaves in sandalwood and prepare a powder of it, add some tablespoon of rose water. Apply this paste on your affected area and let it dry and then wash it with cold water. Neem leaves are rich in antibacterial and antiseptic properties that can help to give you relief from irritation and itching that are caused by heat rashes. So, Grind some neem leaves and make a paste of it then apply it on your heat rashes. So, what are thinking? Now you don’t need to get frightened by harsh heat of summer because these tips will help you to face this scorching heat of summer quickly. So, just go and try this remedies, I’m sure that you’ll get the incredible benefits by this tricks. If you also have some suggestions and you wants to share with us then write it in our comment box.